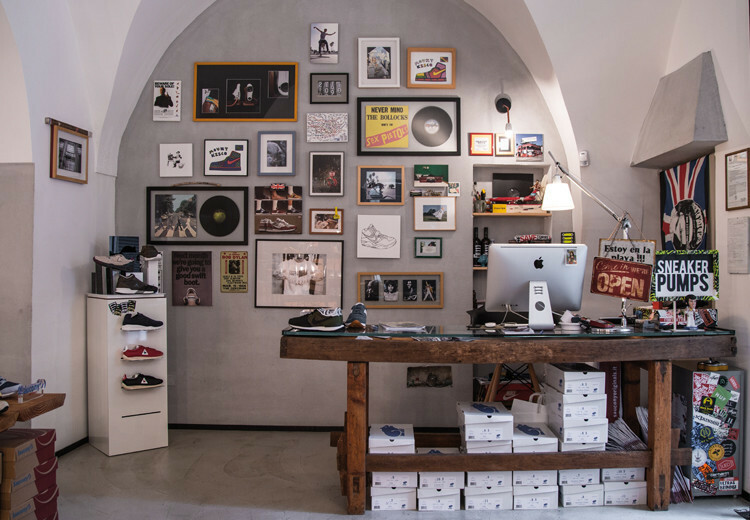 Sneaker Pumps opened its doors in spring 2012 and it comes from the passion for the world of the sneakers and the innovative ideas of local interior and graphic designers, to create an atmosphere which is much more than just a store. 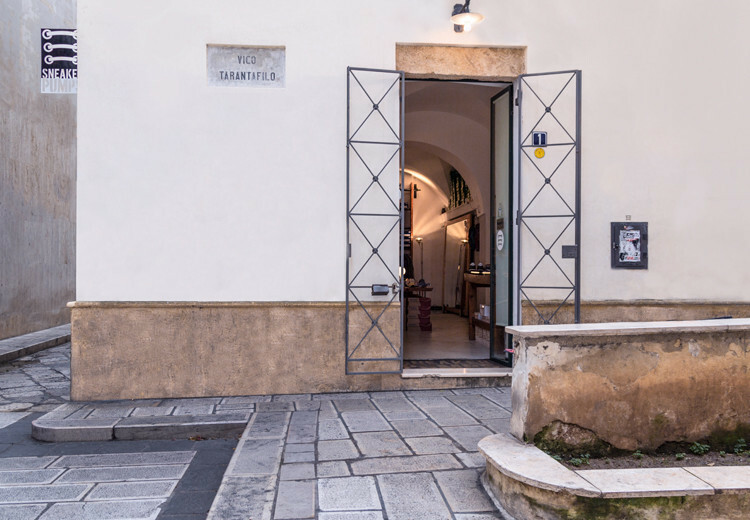 Located in the ancient city of Brindisi, and a stone’s throw from important archeological remains, Sneaker Pumps offers an intriguing blend of old and new styles, above the average shopping experience. 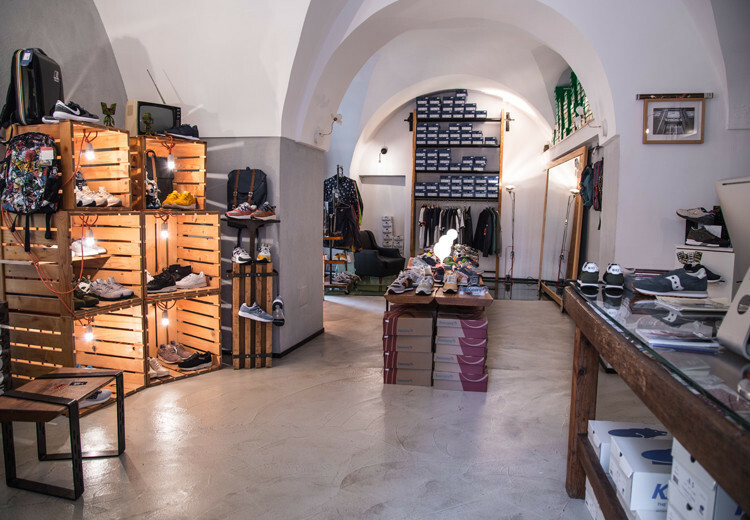 Roman mosaics provide the backdrop for a personally selected collection of the most important sneaker brands, including special editions and one-off models, displayed almost as artworks in a context of vintage, recycled and modern design. 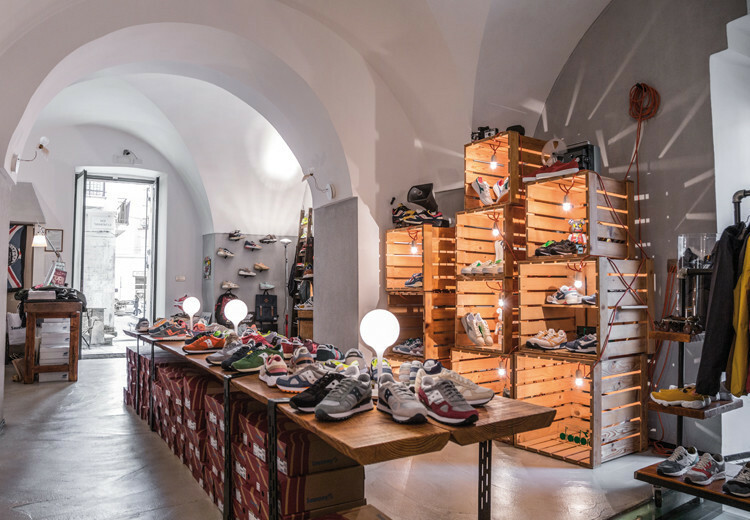 Sneaker Pumps values the uniqueness of every pair of sneakers as well as the personality of every customer who walks into the store. They’d love to meet you and hear your story whilst helping you to appreciate the melting pot of creativity which is the basis of the success of Sneaker Pumps.